Your car will often tell you what it needs if you pay attention to the sounds that it makes and how it drives. The shocks on your vehicle are what make it comfortable to drive instead of bouncing all over the road while you’re driving. One of the sure signs that you need new shocks is if there is visible damage to this area of your vehicle. Aside from damage to the shocks that you can see, you can also pay attention to the inner side of your tires. 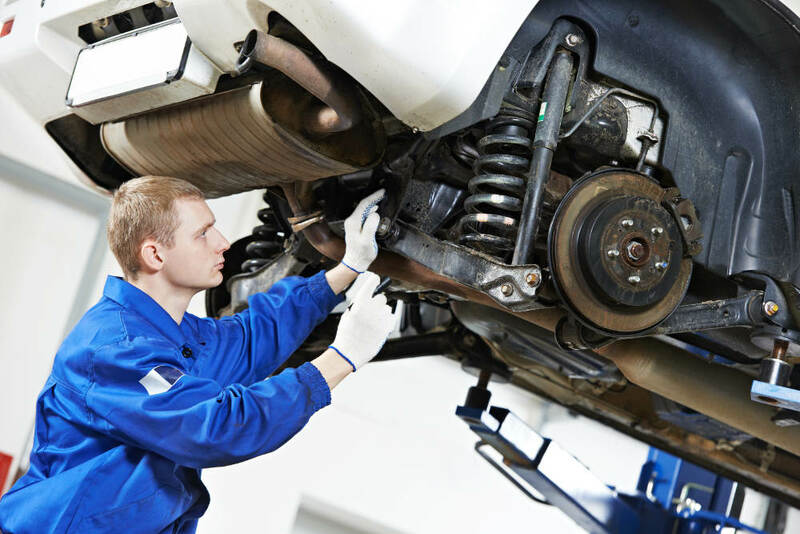 If there is wear and tear when there shouldn’t be, then your shocks or struts could need to be replaced. 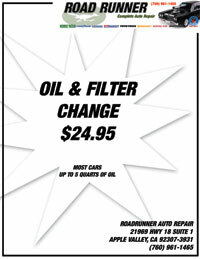 Road Runner Auto Care in Apple Valley can examine the shocks to determine how severe the damage is and how soon it could be before you need to replace them. Squeaks and squeals are often noticed when your shocks are bad, especially when you go over potholes and bumps in the road. The ball joints can also cause these sounds. However, all of these components usually work together, so when one starts giving you trouble, then the other parts begin to fail as well until they are repaired or replaced. Mechanics at Road Runner Auto Care in Apple Valley can check to see which parts are rusted, bent, or damaged in another way when checking the shocks on your vehicle. Pay attention to the quality of the ride of your vehicle while you’re on the road. Your vehicle should not bounce along the road while you’re driving or riding. It should offer a smooth ride unless there are other issues wrong. If the shocks or struts are worn, then you might notice that your vehicle tends to nosedive when you apply the brake pedal to stop. You could also notice that it takes longer for the vehicle to stop. Road Runner Auto Care can also check your brake pads while examining your shocks and struts to see if they need to be replaced as well.